An FPP survival horror that employs anime-style visuals. The game was developed by studio ROIGAMES and is a remake of 2001's White Day. The main protagonist of the game is a young boy who invited his girlfriend to his school during the night. White Day: A Labyrinth Named School for PC platform, PS4 etc. 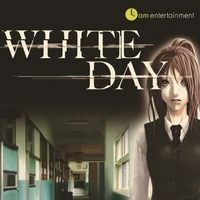 is a remake of White Day from 2001, produced by ROIGAMES studio. The title differs from the original version mainly in the quality of the graphics, which has been significantly improved - the game now uses the power offered by the new gaming platforms. The main character of White Day: A Labyrinth Named School is Hui-min, who at night invited his girlfriend to school, where he wanted to surprise her on the occasion of White Day - the Korean equivalent of Valentine's Day. However, strange and terrifying things have started to happen in the building - the school won't be easy to leave. White Day: A Labyrinth Named School for PC, PS4 etc. is a first-person horror in the style of Amnesia: The Dark Descent. The main task is to explore the school and discover its secrets. However, our primary goal is to survive, which is not at all easy, because our protagonist is an ordinary boy and he cannot fight with supernatural forces. Therefore, instead of confronting the dangers directly, we usually try to avoid them by sneaking and running away. An unquestionable attraction of the game is its non-linearity and the need to make choices that influence the end of Hui-min's adventure; in total, the developers have prepared seven endings. Compared to the original version, White Day: A Labyrinth Named School has gained an almost completely new design. Of course, the style of the game did not change, but the new version doesn't have fuzzy textures, poor-looking characters, etc. The gameplay was not changed.